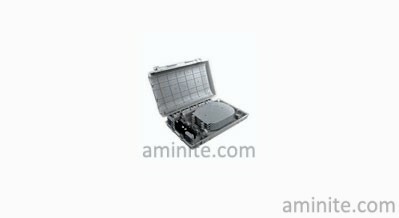 Aminite supply the Fiber Optic FTTX series Terminal Box,the most popular is FTTH Terminal Box,these fiber terminal box including indoor enclosures, outdoor enclosures, desktop enclosures, common type enclosures and so on.They are widely used in the optical fiber market. 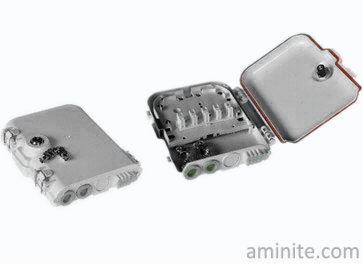 Aminite's Common type of fiber optic FTTH terminal box AF006, for a variety of fiber optic cable connecting the fiber and pigtail and protect fiber optic connector role. This product is made ​​of high strength plastic, UV, UV-resistant, water resistant, suitable for indoor and outdoor wall hanging overhead and the use of the box a "lock" structure, opening and closing of the box simple, convenient, safe and practical lockingfeature . 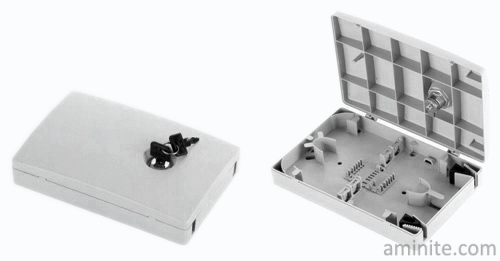 Splice tray page design easy to use, sub-fiber splice and complete separation,a more rational distribution. This product is made of high strength plastic, UV, UV-resistant, water resistant, suitable for indoor and outdoor wall hanging overhead and the use of the box a "lock" structure, opening and closing of the box simple, convenient, safe and practical lockingfeature . 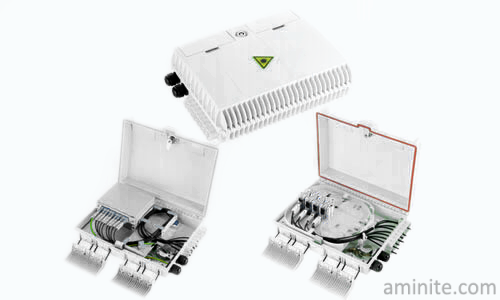 the company's terminal box into FTTX series desktop box, FTTX series outdoor box and regular terminal box.